Tips To Keep Mac and MacBook Pro Faster required some elementary knowledge of UNIX and few command line works. Mac is a professional instrument and needs care. The first and foremost important Tips To Keep Mac and MacBook Pro Faster is not to install hundreds of Apps those claims to keep your Mac faster. Mac is not build like the cheap Windows PC by some Microsoft’s partners without any quality control, it is an aristocrat precision instrument that needs basic skills and knowledge of traditional computing. Most of the paid Apps those claims to keep your Mac faster are basically few scripts with a GUI, you must avoid. It is always better to ask Apple Care if you have opted the extended 3 years plan, for any doubt – be it of software or hardware part. Another important Tips To Keep Mac and MacBook Pro Faster is to avoid certain applications. Mozilla Firefox is one of them. To fix Mozilla Firefox, you need to work few steps more so that it can not make your Mac slower. Use Open Office instead of Microsoft Office or other equivalent applications by Apple. You can use Safari, Opera and Chrome (there are some issues with Chrome though) as browsers. Avoid smoking in front of your Mac. If you can not avoid smoking in front, kindly do not exhale the smoke on the sides of a MacBook Pro. The only openings are various ports through which your MacBook Pro breathes – the cold air gets sucked. You can see the images of computers whose users never cared to clean the inside in our quite old article – Do not smoke in front of your Computer. Clean your hand first, use a transparent keyboard cover so that the dirt can not sit on the keyboard of your MacBook Pro. Clean your Mac or MacBook Pro with iKlean or some such product available in all Apple Premium Resellers’ stores. Get your Macs professionally cleaned from inside every 6-12 months. These all things prevents over heating and keeps it physically fit. Delete one by one. 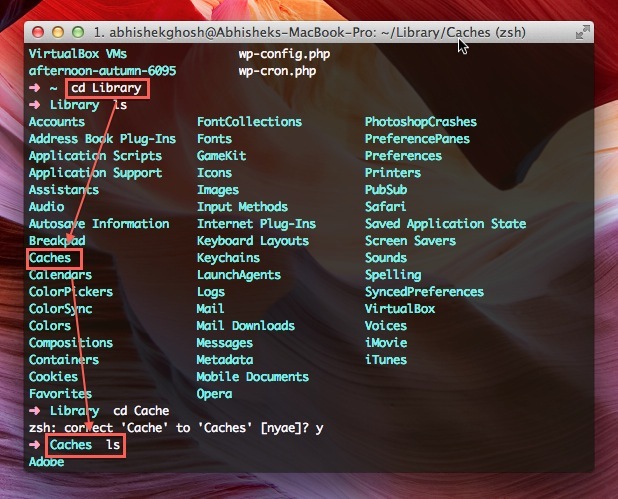 You can visually see this by using Command+Shift+G keys and typing the location in UNIX format like ~Library/Caches/ ; do not use this visual way. Prebinding is what you see after installing a software – that gray screen with Updating cache like message. You can force prebinding to release space from RAM (yes, RAM). But unless you know about prebinding, do not run commands without knowledge. Shut down with “Reopen windows when logging…” UNCHECKED. Honestly, it will appear scary to perform. But, it actually it does not harm. Its some Java applications that adds symlinks and add a huge burden. Deleting it possibly recreate it freshly. Tagged With yhs-1 , how to make macbook pro run faster , macbook faster , tips for making macbook faster , how to load a large folder faster on macbook pro , how to keep your macbook pro running effaciently , how can i make my mac book pro faster under sierrra software , faster macbook , fast my mac , does changing the ram in the macbook make it go faster online? This Article Has Been Shared 5360 Times! Cite this article as: Abhishek Ghosh, "Tips To Keep Mac and MacBook Pro Faster," in The Customize Windows, January 26, 2013, April 25, 2019, https://thecustomizewindows.com/2013/01/tips-to-keep-mac-and-macbook-pro-faster/.